The pace of change in the digital marketing industry is very high and Milestone's conference helps hoteliers understand how they can maximize the revenue and opportunities from the rapidly evolving landscape. 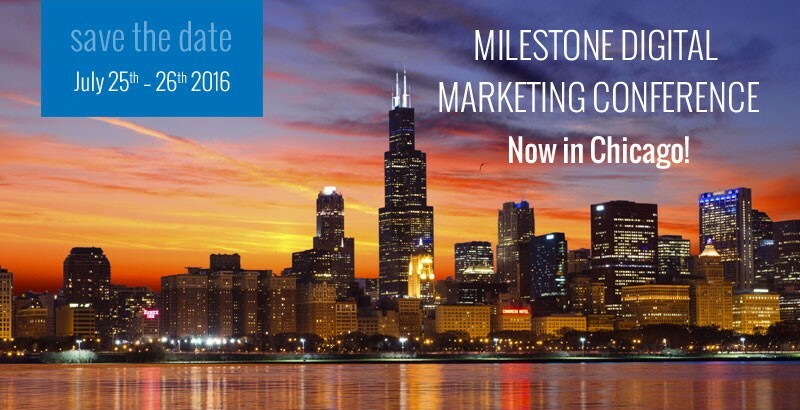 Guests are invited Monday, July 25th, to an Open House at the Milestone Chicago office before the official kickoff reception at the Hyatt Regency Chicago. Tuesday, July 26th, guests are encouraged to stay for dinner to network after the full day's conference sessions. "I was surprised how much I learned and could immediately take back to our hotel, I've been emailing action items all day. Really impressive information!"